Grow your savings with solar! PG&E rates will increase 9-12% per year over the next 10 years. Solar panels can cover up to 100% of your home and electric vehicle needs. 18 panel SunPower system produces 100% of energy usage in the summertime for both the house and Nissan Leaf car! 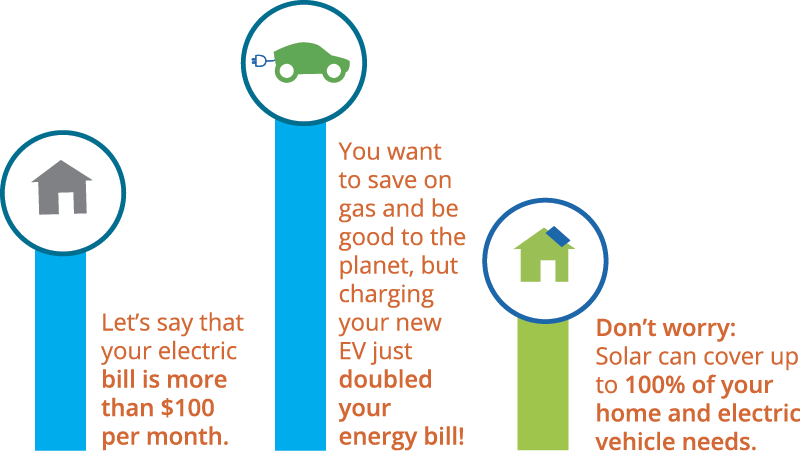 Choose the lowest cost time to charge your electric vehicle and make PG&E Time-of-Use work for you! Peak times for energy use can be costly...off-peak times are the best hours to charge your vehicle and reduce costs.